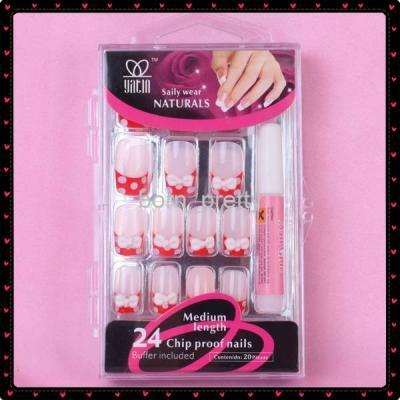 I recently had the chance to review some products from the Born Pretty web store. One of them is of course, a nail polish. This polish is definitely not big 3 free, as far as I can tell, because it has a telltale very strong chemical scent. 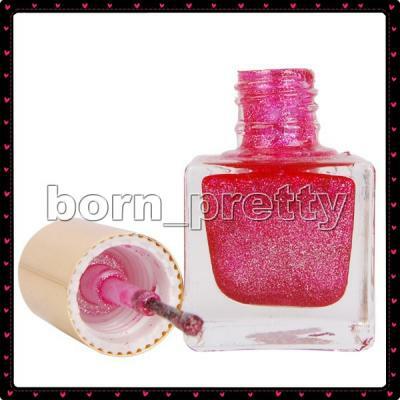 It is a mini polish, even though the bottle says 0.6 oz, it is clearly not. They are $3.51 each, and are even cheaper the more you buy. 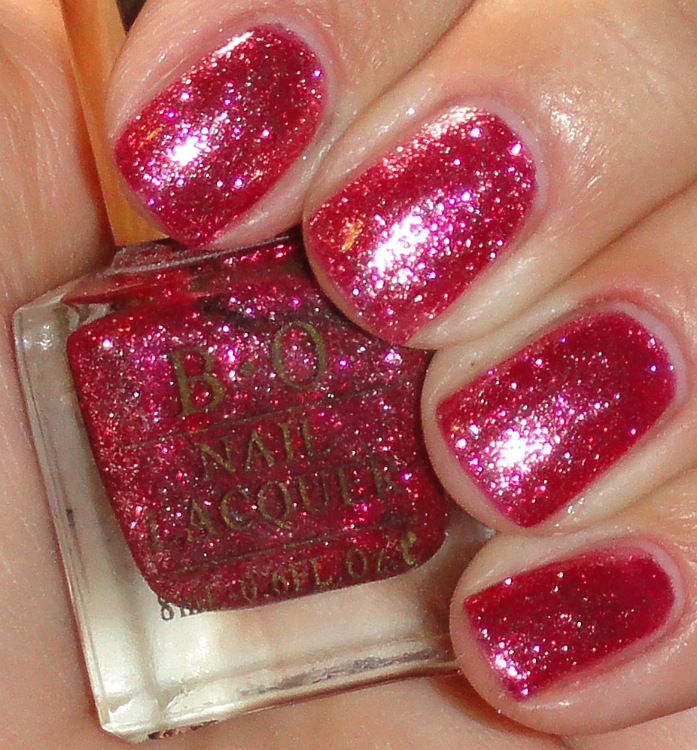 This color doesn't have a name, and in fact the sticker on the bottom said "OPI Original Nail Envy"....so yeah. 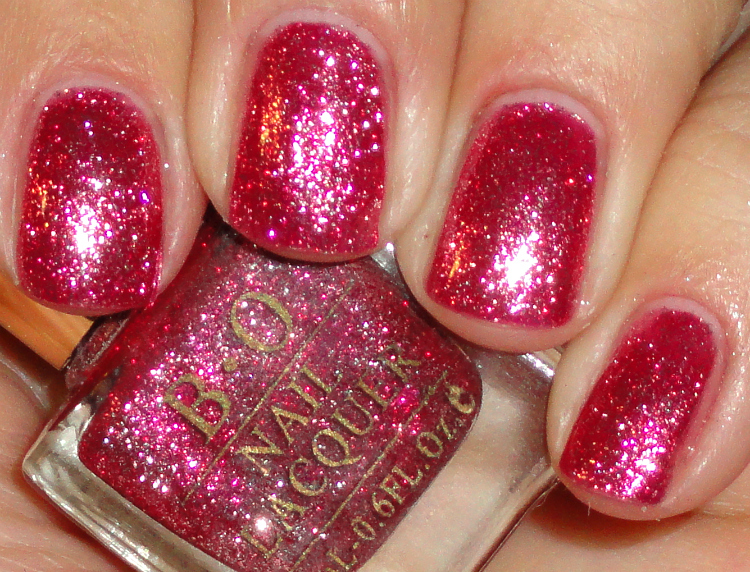 Anyway, it's a fuschia pink foil glitter, very attractive. This swatch is two coats. 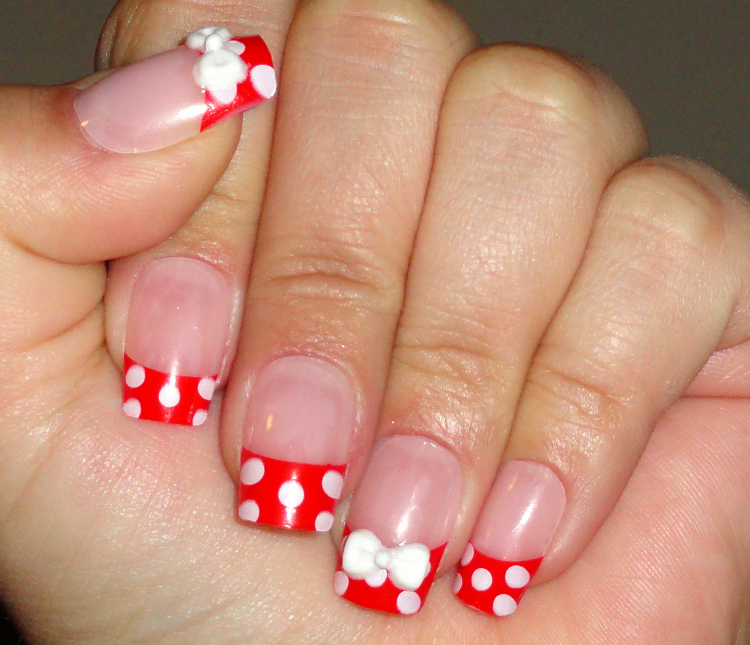 The next product is a set of press-on nails that have red tips with white polka dots and 3d bows. They remind me of Minnie Mouse! Very cutsie and almost nautical. Normally this is not something I would wear, but I just fell in love with them and wanted to try them out. They were very long, but I could file down the bottoms if I wanted. They were also a bit larger and wider than my natural nails so they weren't super comfortable. But look how cute! They also unfortunately didn't come with the gel tabs that stick for temporary application, just glue. 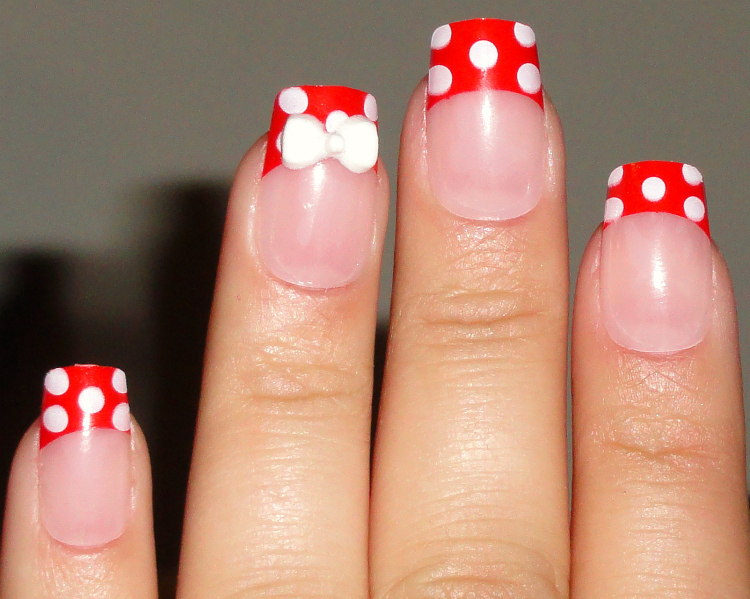 I don't like to use glue on my nails so I'm glad I had a few tabs left over from a different set I had finished with. Jessica from Born Pretty is giving my readers a special 10% off their orders with the code: GONZO15. Take a look around, she has quite a variety of nail art products, including crackle polish, which I'll be showing you a review of soon.